We’ve been blessed with a wonderfully huge backyard. With lots of room to run and build and dig and explore. The children use every inch of it every day! We are not terribly talented gardeners – more caretakers than anything, but I live in hope that the day we own our own house will be the day I transform into a garden gnome like my mum and dad. In the meantime, my children have lots of free time playing outside. 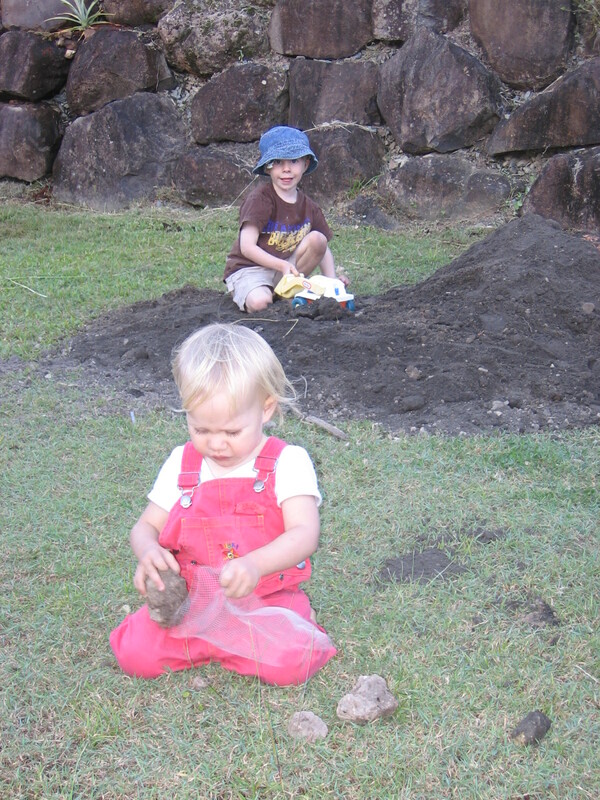 Both my children enjoyed a bit of dirt-eating, but Rosella was unstoppable. It made me cringe, but generally I was fine with it. 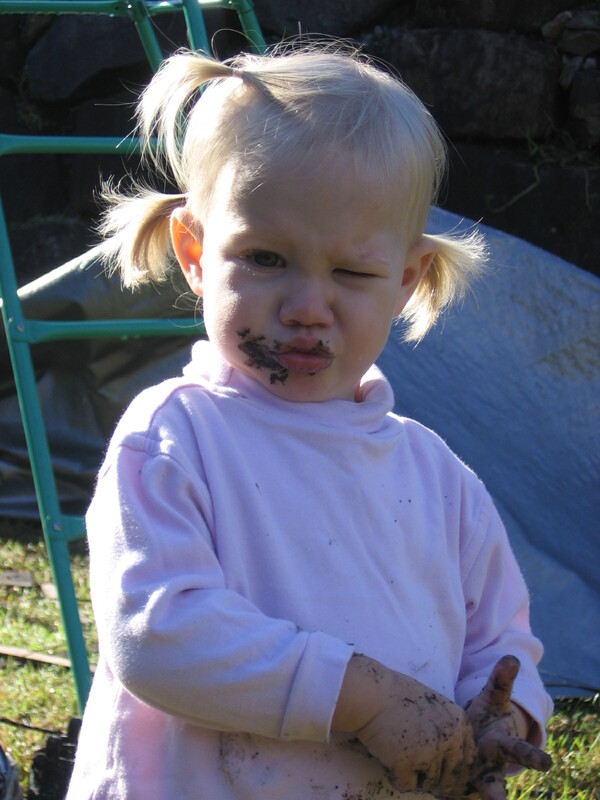 It was when she’d pick up clumps of dirt and bite into them like apples that I’d start feeling a bit queezy. Mouthfuls of sand couldn’t be too pleasant either, however from the moment she could crawl outside by herself she would head straight for the sandpit for a snack before anything else. It was like a ritual. Going to the beach was a smorgasboard of delight for my little earthy princess! She doesn’t munch on soil so much anymore, but you know those ‘cups of tea’ that are so lovingly mixed up with a bucket full of sandy water? She still drinks them. I don’t. They aren’t my favourite. I read that blog, Jen. I remember seeing a program about gut worms and how the incidence of asthma and what are now common allergies started to arise at the same time as when we eradicated worms from our gut. I’m a believer! You didn’t see too many peanut allergies in Grandma’s time.